For all your roofline drainage projects, you can trust Drainage Superstore® to supply you with the highest quality parts and equipment from big brands that you trust. 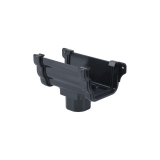 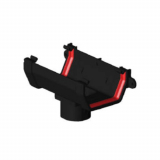 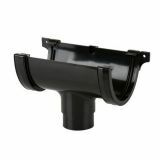 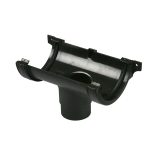 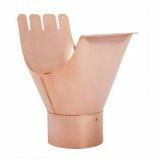 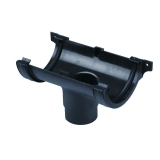 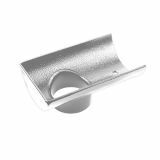 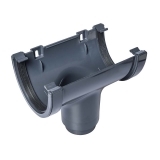 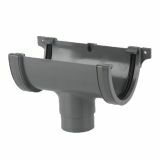 We also stock a wide variety of roof rainwater outlets, as well as gutter brackets, aluminium coping, wire leaf guards and more.  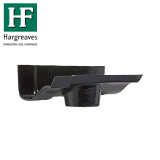 Take a look at our extensive selection of guttering systems and fixings, please don’t hesitate to contact us if you’re looking for something in particular and can’t find it here. 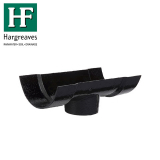 You can reach us through our live chat in the bottom right corner, or give our friendly customer service team a call on 01752 692 221. 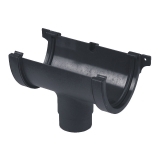 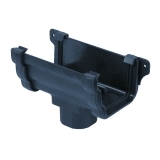 Plastic guttering is one of our most popular guttering types. 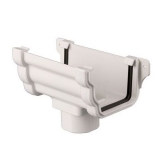 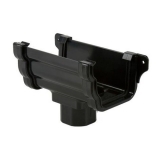 Catering to every need and available from many top brand names, plastic guttering comes in many styles to suit all projects including half-round, OG and the more contemporary square styling. 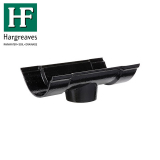 With colours such as white, black, brown and the ever-popular anthracite grey there will always be something to suit your windows, fascia or door trims. 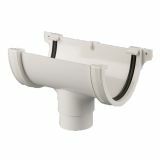 With fascia board, soffit board, window board trims and more available from Drainage Superstore’s uPVC fascia and cladding range you’re guaranteed to find a match to your project. 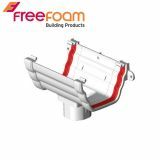 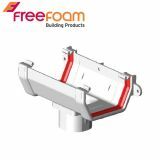 Combining a fantastic selection of products from the likes of freefoam we’re on hand to make sure you can finish your project with us. 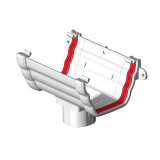 Our fascia colours are in line with those available from our plastic guttering range so you can build and install a complete drainage system. 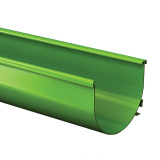 Steel guttering is a durable, cost-effective and long-lasting option for your domestic and commercial guttering so it’s only fitting that our guttering range includes well known manufacturers Lindab, Cyclone and more. 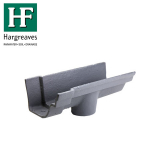 Plain galvanised steel guttering, HB polyester painted guttering (which comes with a 15-year guarantee) and many more finishes are featured in our hand-picked range in order to give you the best choice. 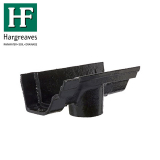 Best suited to more traditional buildings cast iron guttering is the perfect final touch to your project. 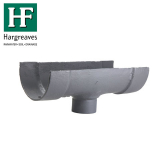 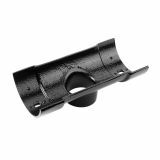 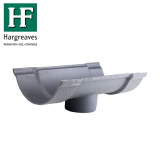 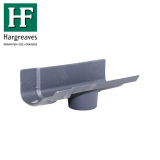 Drainage Superstore’s extensive range of options from Hargreaves includes half round cast iron guttering, deep style half round guttering, beaded half round and more. 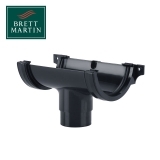 All of our guttering systems are available in a wide range of colours and sizes with both contemporary aluminium guttering and cast aluminium guttering being no different. 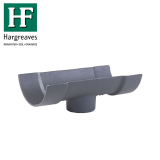 Featuring Alumasc Aqualine guttering, Alumasc AX Extruded guttering and more our full range is available in 26 standard colours with both smooth contemporary and textured cast iron effect finishes. 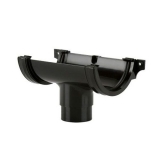 Downpipes are an essential component of roof drainage as they protect walls from rain damage, they guide the water to where it can be drained away, and when connected to a secondary pipe or a sewer system, they protect the foundations of a building too. 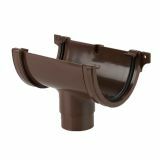 Particularly prevalent with older buildings, the area where the walls meet the earth need to remain as dry as possible so directing rainwater away is a must to avoid subsidence etc. 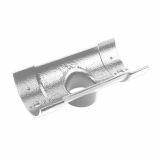 The Tower of London received the first downpipe in 1240 and they've been continously part of any urban, rural or city-scape since. 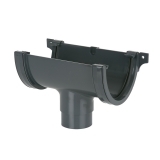 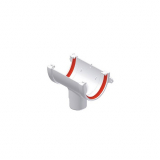 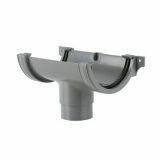 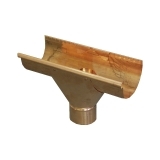 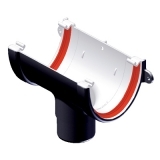 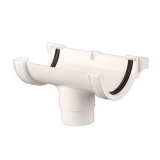 Each manufacturer of guttering runs provides a matching downpipe for their system. 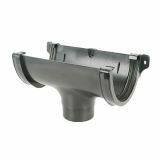 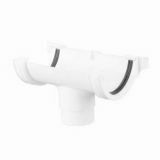 Whether they're universal across all their range or each range has a specific downpipe, you'll find every downpipe you could need here.